Today’s session will feature Shipping/Receiving activities. This part of the shop is controlled by John and actually involves two areas: shipping/receiving and a material storage area. The storage area, as the name suggests, is where most of the product material stocks are stored. A variety of raw materials are used during the deep draw manufacturing process. Each metal has specific properties and benefits for a variety of industries served by the shop’s customers. Stainless steel, brass, copper, aluminum, and low-carbon cold rolled steel are just a few examples. The Shipping/Receiving area holds finished products in various staging containers. 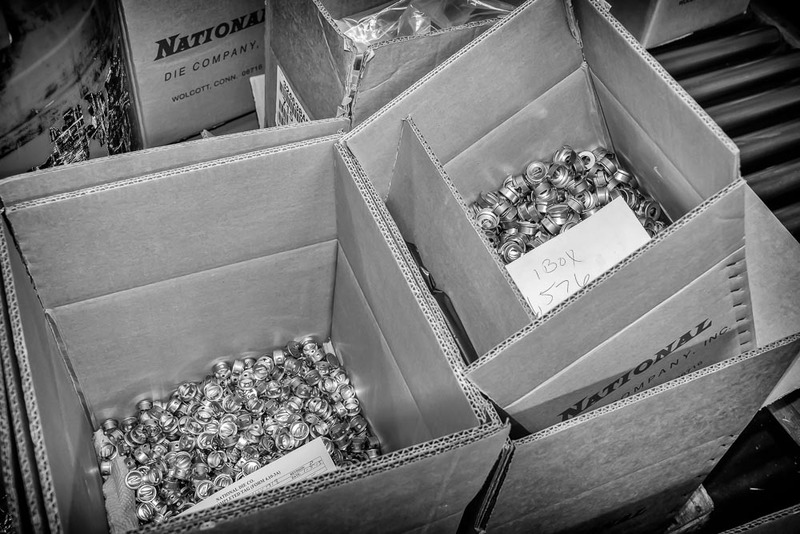 These products are later packaged for final delivery to the customer. These are then loaded by fork lift onto trucks. 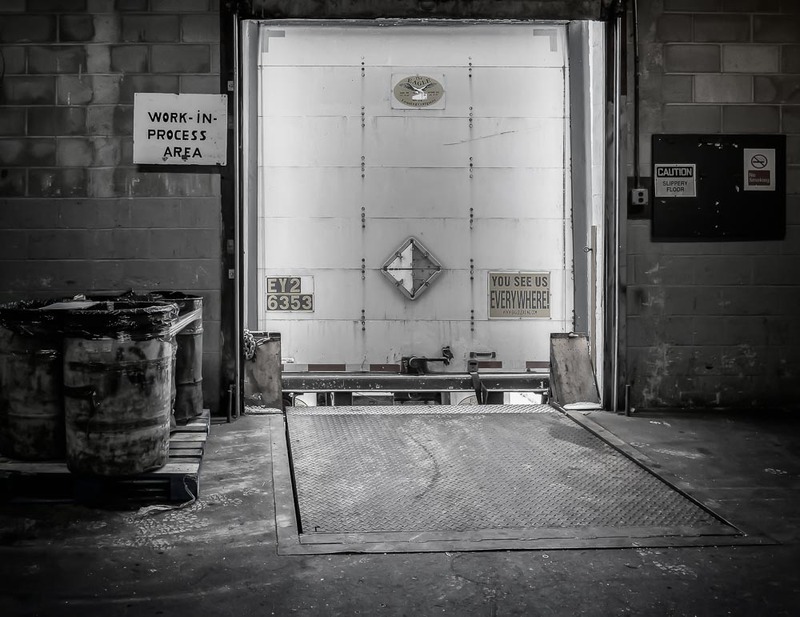 Sometimes, there are also semi-finished products that need to be sent out to other third party vendors for cleaning or nickel platting before these can be shipped as finished products. Stop by my blog again during the upcoming weeks as I continue to report on the progress of my new project! Interesting observation, Jerry. Thanks for the comment! 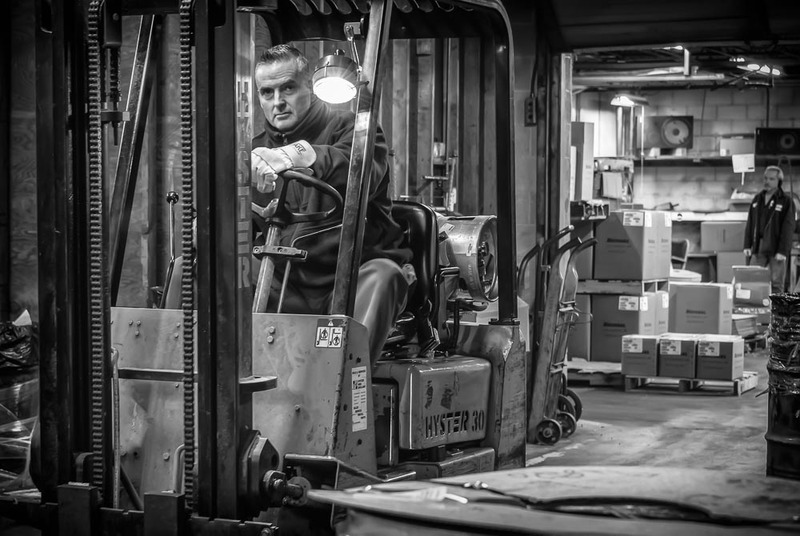 I find the black and white photos, especially of the boxes and the guy driving the forklift as being eerily effective. 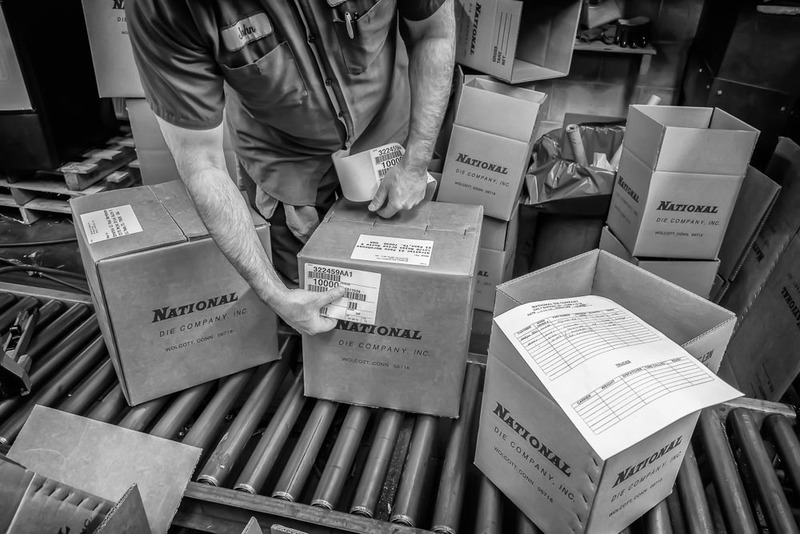 Who would have ever thought that shipping and receiving could have an almost nostalgic feeling? Like the birth of the film industry 100 years ago, you are capturing the last gasps of industry itself 100 years later. Cool. Spooky. Exciting.